Stop! Time to End the Ant-Agony. You walk into your kitchen to see a line of ants. You immediately dart your eyes over to the counter to check if you left food outside. You can't see anything so you follow the trail and unknowingly place your hand on the table only have a piercing sting shoot through your hand. You missed seeing that vicious red ant responsible for that sting! And you question the universe "why!!!" Why do you have to be the one enduring this ant problem every.single. day.? Well, actually you don't! 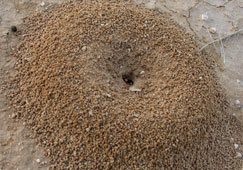 That's right you don't have to submit to an ant infestation just because you can't seem to devise a plan for their control and removal. I know, you've really tried and you're at your wits end! But don't give up on hope yet! 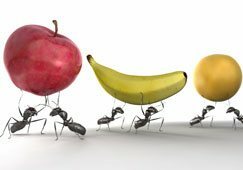 You CAN tackle this problem if you just know your enemy - the agony causing ant! Aah... I've got your attention now, haven't I? Fact: they come in colonies; Fact: they're tiny, unified and the hardest to control. But here's another great fact: every problem can be solved with a plan. And how do you come up with one? By identifying all aspects of the problem and combating them or using them to your advantage. And yes this doesn't have to apply for a crisis but also an ant infestation in your home, cuz, well it is a crisis for you! 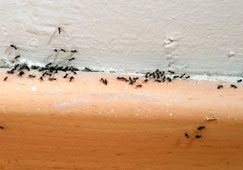 So does the Ant Infestation Saga Ever end? Of course! That's where we at Protech Pest control get on board to give you the best-in-class Ant Control service in Melbourne. 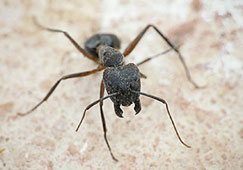 With over 26 years of field experience, our trained and certified ant exterminator team brings you a comprehensive and all-natural solution to get rid of your ant problems, including Ochetellus, bull ants and brown ants. 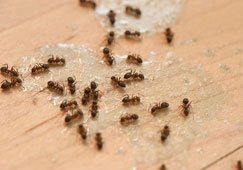 We have a dedicated research team that studies the nature and behavior of them and using key insights, have developed the most effective ways to make sure that the pests stay at bay. What's more? 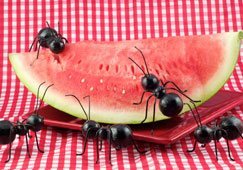 Using cutting edge technology, our ant control specialists have adopted an eco-friendly approach to pest control solutions that utilize bio-degradable means for pest removal, making sure that your family’s health isn’t compromised upon in the process. And that's not all - if the ants return within the warranty period, so do we, for FREE!